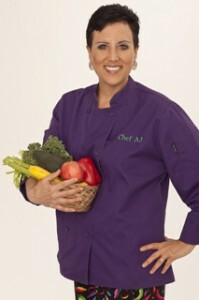 Chef AJ‘s book is fantastic for someone wanting to make the switch to a whole foods plant-based diet or even someone who is already on the diet! 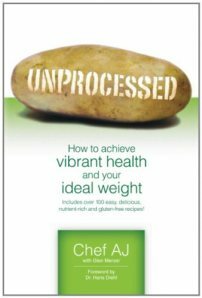 Chef AJ’s no nonsense writing style is disarming with a healthy dose of humor that is appealing and fun to anyone wanting to achieve optimal health and reach their goals for their ideal weight. This book includes over 100 easy, delicious nutrient-rich and gluten free recipes! UNPROCESSED starts off with Chef AJ sharing her own personal journey and struggles with weight loss, anorexia nervosa, and her wake-up call when she discovered that she had multiple nasty adenomatous pre-cancerous polyps in her sigmoid colon. One would never suspect these struggles from a woman who, to me, looks like the perfect picture of health, but we all hold our own stories and struggles that eventually (hopefully) leads us to a different, more healthful path! I was touched by AJ’s brutally honest way of sharing these struggles! Chef AJ’s book will help anyone who is willing to look honestly at their diet, while helping to get over one’s initial fears and excuses. She does it gently, yet let’s you know that she means business! If this book can inspire and motivate someone like me, who is already following a whole foods plant-based vegan diet – perhaps not as strict in some areas (I’m thinking of my salt and sugar addiction) – to want to make changes then I know that it will inspire you as well! Here are some of the recipes from the book that I will soon be making. I have picked three per section, but there are a lot more recipes to choose from in the book than what I have selected. These are just some that caught my eyes. I know that she’ll have something that appeals to you in each section where you’ll go, “SWOON! Wanna make this!! 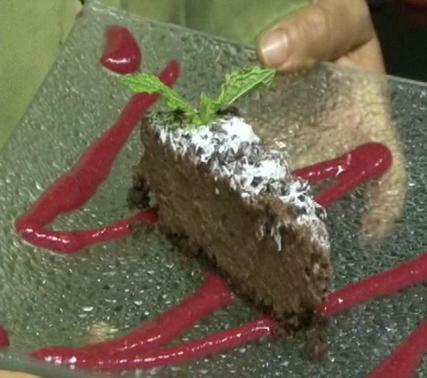 !” I must admit that I was excited to see that desserts were listed first in the book since, yes, I have a sweet tooth…and I’m working on turning it in a more healthy direction! From the dessert recipes, I’ll be making: Mint Chocolate Mousse Torte, Pear Creme Anglais, and Orange Chocolate Mousse Torte. Next came the “AppeTEASERS”: CarriBEAN Mango Salsa, I Can’t Believe It’s Not Tuna, and POWer Pate. 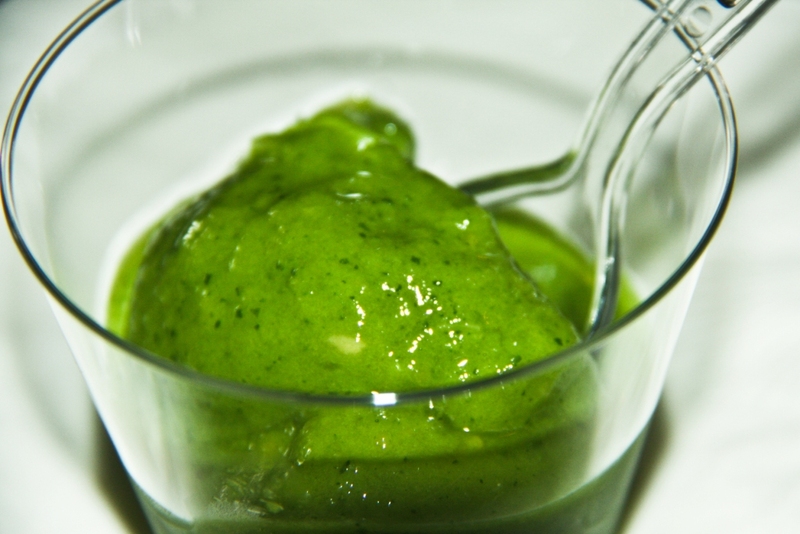 From Beverages: Caramel Fakiatoo, It’s Easy Being Green Smoothie, and Mint Chocolate Chip Smoothie. 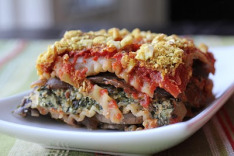 From Enticing Entrees: Chef AJ’s Disappearing Lasagna, Hearty Lentil Loaf, and Sweet Potato and Blue Corn Enchiladas. 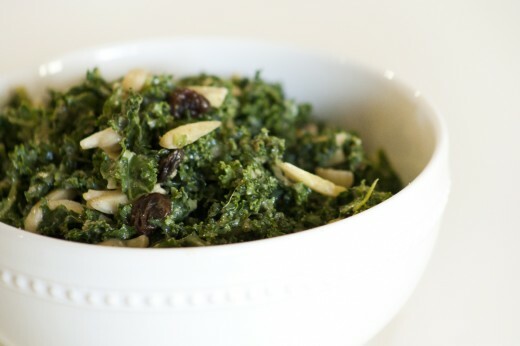 Salads & Dressings: Fennel Salad, Hail to the Kale Salad, and Nostada Salad. In the soup department: Easy Edamame Soup, Stompin’ at the Savoy Cabbage Soup, and Tomato and Tortilla Soup. I understand why this section is called Sensational Sides! (Do I really have to just choose three?) Maple Glazed Brussels Sprouts, Pineapple UNFried Rice, and Quinoa Salad with Currants and Pistachios. Listen, there are many many more mouthwatering recipes in this gem of a book! GET IT! I know you will love it as much as I do! I plan on ordering extra copies to give away to friends as gifts. Trust me, I know they will love it as well! I don’t know about you…but after this, I am HUNGRY for some of these UNPROCESSED healthy foods! Tell me, in the comment section, your favorite UNPROCESSED food to eat or snack on and I will enter you into the drawing for this amazing book. Yum! Sounds delicious, Renee G.! I love kale massaged with avocado and a little lemon juice. It is so good, especially if it’s had some time to sit. Sometimes I add apple chunks. Thank you so much for this giveaway. 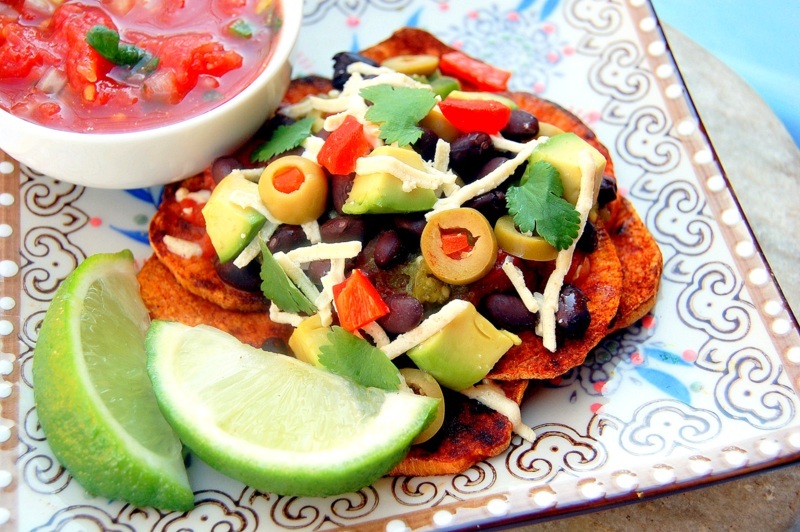 Those sweet potato nachos look amazing. Sounds yummy, Cee! I love my kale massaged in home made hummus! I also am a fan of adding cut apple chunks to it! So delicious. Also try it with squeezed orange juice. Delicious! And you’re welcome! You’re in the drawing! Two of my favorites, Susan! My friend Mike, who lives in Palm Springs, brought me an assortment of dates the last time he visited. They were delightful! Can’t recall the company right now, but it was such a beautiful gift! What is your favorite type of nut? Mine are walnuts! For the taste I love cashews, but if I’m going to make a “candy” by processing the nuts and dates together I use almonds or walnuts. Yummy! If I ever find I have some extra money, I’m going to buy some macadamia nuts! I love a massaged kale salad with avocado! So good! Walnuts and blueberries. I am VERY new to eating whole and clean. 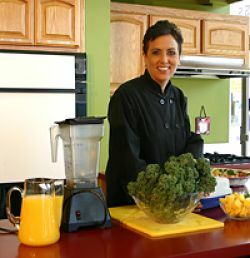 Luckily, I found Chef AJ on youtube and also LOVE her chocolate smoothie! Thank you for an opportunity to win this goldmine of info to help me on my healthy journey!